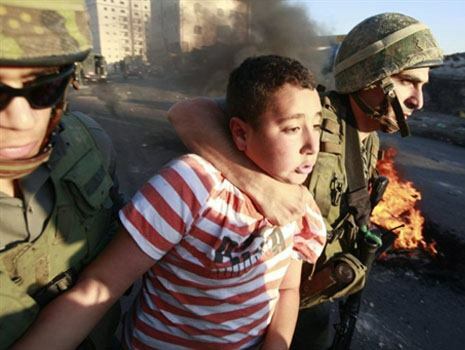 Israeli army arrested 13 years old kid ‘Muhammed Hellal abu Lebda’ today near his house on Jenin. I would like to reinforce the excellent and hopefully clarifying account below, which is well documented by Israel’s own historians. Israel was born in “original sin” (per Israeli historians Benny Morris and Avi Shlaim) by terrorism and ethnic cleansing followed by deception, “memoricide” (per Israeli historian Ilan Pappe) and defiance of international law (the Palestinian right of return under Articles 13 and 17 of the Universal Declaration of Human Rights, affirmed by UNGA 194 in December 1948, as well as its own yet-unfulfilled pledge as a condition of its 1949 admission to the UN). The 1948 Nakba – not simply Israel’s 1967 illegal land seizures and subsequent colonization that has compounded the original sin – is the heart of the problem. To have peace, Israel must honor the rights of its victims and by so doing forfeit its Jewish majority and Jewish supremacy in exchange for a normal state, peace and international acceptance. Soon after UNGA 181 was announced in November 1947, proposing to award Jewish Palestine with 55% of land that was 94% Arab-owned, it ignited a predictable firestorm. The US and sane UN members immediately recognized that this would be a disaster, the Security Council returned it “for reconsideration” to the General Assembly, and an alternative US proposal for a 5-year UN trusteeship was being drafted when the Zionists realized in March 1948 that they would not get what they wanted from the UN and launched Plan Dalet, their brutal, deadly efficient and long-planned ethnic cleansing campaign to seize the land by force. The helpless Palestinians, disarmed by the British during the 1936-39 Arab uprising and unprotected by the British in 1948, were driven out and never allowed to return. After May 1948 when over 300,000 Palestinians had already been expelled, badly outnumbered, poorly led and outgunned Arab forces tried to intervene to protect the territory designated by 181 for the Palestinians, but with much too little too late. The Arab Legion of Transjordan, the only Arab military potentially capable of stopping the Zionists, had entered into a pact with the Zionists to divide the land between them, keeping what is now known as the West Bank. The Palestinians were betrayed on all sides, by the British, Transjordan, and the UN in addition to their Jewish neighbors, many of whom had been welcomed in as refugees from the Holocaust (although Zionism was definitely NOT welcome). Truman was urgently advised not to recognize Israel in May 1948 by his State Department under George Marshall, the Pentagon under James Forrestal, and his intelligence services, all of whom predicted nothing but trouble ahead if he did. But Truman was running for election against NY Governor Tom Dewey and needed the NY Jewish lobby support, and the rest is history. (Even then, Truman refused to recognize Israel as a “Jewish” state.) Were his critics ever right. Admission of this original sin and restitution to its victims as well as those of the continuing Nakba is the only path to justice, the necessary precondition for an enduring peace still demanded by almost 90% of Palestinian refugees and those under occupation. All of “progressive Zionism” under Tikkun, J Street, Avnery, etc. is a desperate effort to avoid this outcome which would achieve freedom, justice and equality for all citizens of historic Palestine and end Israel’s racist claim to be a “Jewish” state. This is why we name ourselves Al-Nakba Awareness Project. Israel and AIPAC mouthpieces react to the word “Nakba” like vampires confronted with a cross. Picture of a war Crime!! Ever wondered what a war crime would look like? Zionists are out in force attacking CBS like a scene in the movie, Night of The Living Dead. JTA claims 22,000 emails have been sent to CBS slamming them for their coverage of Palestinian Christians. This is obviously a super exaggeration, but still it shows that they are campaigning as expected. Please mention “Thank you for your segment on Palestinian Christians” in the subject. CBS is obviously not going to read thousands of e-mails, but will keep track of the number of people who wrote in support. The subject should clearly so that you are writing in support of the program. It might even be fine not to write any content and only the subject. 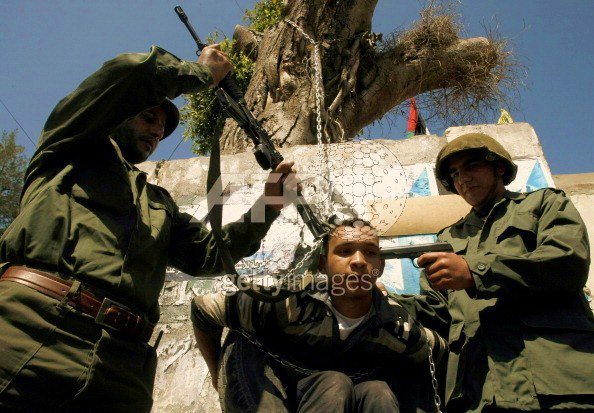 Palestinians from the OPT are currently held in a total of 4 interrogation centers, 4 military detention centers, and approximately 17 prisons. 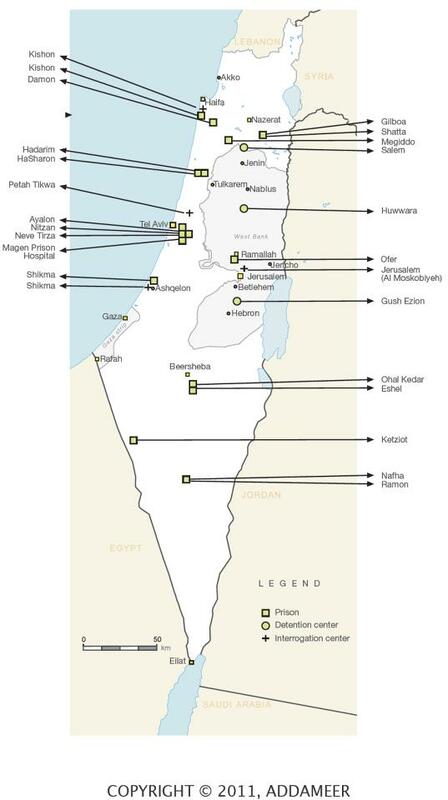 While the 4 military interrogation centers are located inside the OPT, all the interrogation centers and prisons—except for one prison, Ofer—are located within the 1948 borders of Israel, in violation of international humanitarian law. 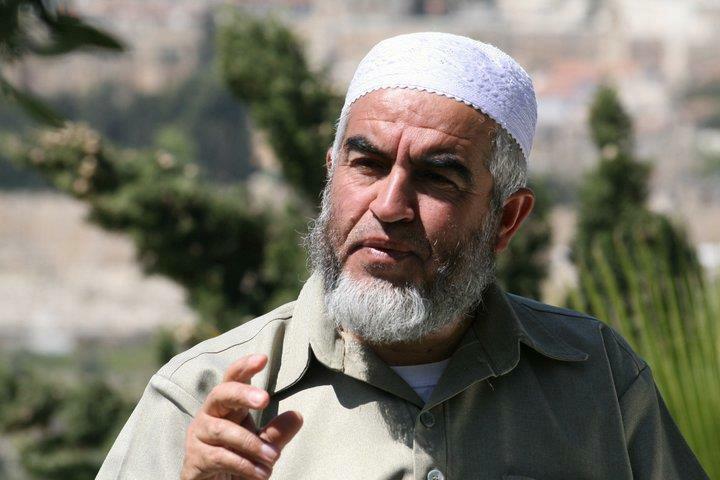 The location of prisons within Israel and the transfer of detainees to locations within the occupying power’s territory are illegal under international law and constitute a war crime. The Fourth Geneva Convention explicitly states that “Protected persons accused of offences shall be detained in the occupied country, and if convicted they shall serve their sentences therein” (Article 76). Statistics: Palestinian Political Prisoners in Israeli Prisons! Since 1990 I have visited the UK several times to speak publicly. On this occasion I was arrested, imprisoned, and told I was to be deported to Israel because my presence in the UK was “not conducive to the public good”. A judge later ruled that I had been illegally detained, but bail conditions continued to severely restrict my freedom, making it impossible for me to speak as I had intended. After a 10-month legal battle, I have now been cleared on “all grounds” by a senior immigration tribunal judge, who ruled that May’s decision to deport me was “entirely unnecessary” and that she had been “misled”. The evidence she relied on (which included a poem of mine which had been doctored to make it appear anti-Jewish) was not, he concluded, a fair portrayal of my views. In reality, I reject any and every form of racism, including antisemitism. I have no doubt that, despite this, Israel’s cheerleaders in Britain will continue to smear my character. This is the price every Palestinian leader and campaigner is forced to pay. The suffering of the Palestinian citizens of Israel has been ignored for decades. But there is today a growing awareness of it, which partially explains this smear campaign against me. In December 2011, EU ambassadors in Israel raised serious concerns about Israeli discrimination, noting that “not only has the situation of the Palestinian Arab minority in Israel not improved, but it has further deteriorated”. There are around 1.5 million Arabs in Israel. We make up 17% of the population, but we face a barrage of racist policies and discriminatory laws. We receive less than 5% of funds allocated by the government for development. Public spending on children in Arab municipalities is one-third lower than that of children in Jewish municipalities. The average hourly wage of Arab workers is about 70% of that of Jewish workers. Any Jew, from any country, is allowed under Israel’s law of return to migrate to Israel; Palestinian refugees are not allowed to exercise their right of return. While a Jew can live anywhere in Israel, a Palestinian citizen cannot. Jews can marry whoever they wish and live with them in Israel, Palestinian citizens cannot. In the criminal justice system, a 2011 study commissioned by Israel’s courts administration and Israel bar association revealed that almost half of Arabs receive custodial sentences for certain crimes, compared to a third of Jews. While 63.5% of Arabs convicted of violent crimes were sentenced to prison, only 43.7% of similar Jewish offenders were. Education is only one of several areas in which Palestinian citizens face discrimination in Israel. The Israeli government allocates less money per head for Arab children’s education than it does for that of Jewish children. One devastating consequence is that the drop-out rate from schools is three times higher among Arabs than among Jews. Nowhere is the injustice more striking than in the Negev. Living in poverty in “unrecognised” villages, the Arab Bedouin are ineligible for basic services such as water, electricity, and healthcare. The Negev village of al-Araqib has been demolished 35 times by the Israeli government; on every occasion it was rebuilt by its inhabitants. Despite the Israeli policy of “transfer” – another term for ethnic cleansing – the Palestinians will not go away. The Israeli state can occupy our lands, demolish our homes, drill tunnels under the old city of Jerusalem – but we will not disappear. Instead, we now aspire to a directly elected leadership for Palestinians in Israel; one that would truly represent our interests. We seek only the legal rights guaranteed to us by international conventions and laws.